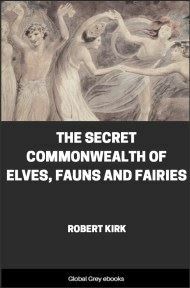 There are numerous books about Irish Fairies, but this was one of the first to focus on the Irish Ghost. The text visits haunted houses from one end of the island to the other. We learn about garden-variety ghosts as well as poltergeists and Banshees, and find out what to do if a 'Headless Coach' shows up. Seymour solicited the stories from newspaper readers, and many of them are from respectable military, clergymen, and gentry. 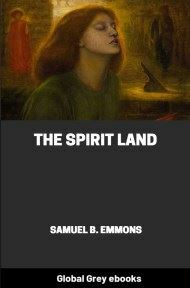 Seymour also wrote Irish Witchcraft and Demonology. 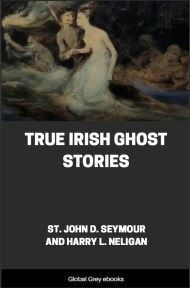 True Irish Ghost Stories is a unique and very entertaining read, particularly for fans of Irish tales, as well as the paranormal investigator. But the sceptical reader will say: "This is all very well, but—there are no haunted houses. All these alleged strange happenings are due to a vivid imagination, or else to rats and mice." (The question of deliberate and conscious fraud may be rejected in almost every instance.) This simple solution has been put forward so often that it should infallibly have solved the problem long ago. But will such a reader explain how it is that the noise made by rats and mice can resemble slow, heavy footsteps, or else take the form of a human being seen by several persons; or how our imagination can cause doors to open and shut, or else create a conglomeration of noises which, physically, would be beyond the power of ordinary individuals to reproduce? 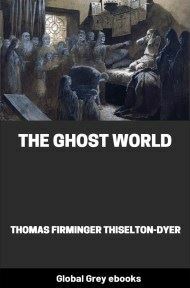 Whatever may be the ultimate explanation, we feel that there is a great deal in the words quoted by Professor Barrett: "In spite of all reasonable scepticism, it is difficult to avoid accepting, at least provisionally, the conclusion that there are, in a certain sense, haunted houses, i.e. 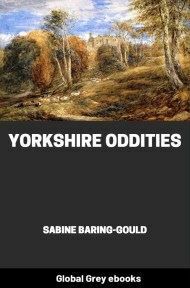 that there are houses in which similar quasi-human apparitions have occurred at different times to different inhabitants, under circumstances which exclude the hypothesis of suggestion or expectation." We must now turn to the subject of this chapter. Mrs. G. Kelly, a lady well known in musical circles in Dublin, sends as her own personal experience the following tale of a most quiet haunting, in which the spectral charwoman (!) does not seem to have entirely laid aside all her mundane habits. 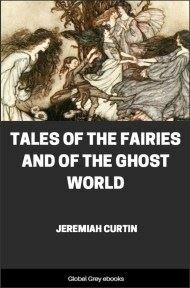 "My first encounter with a ghost occurred about twenty years ago. On that occasion I was standing in the kitchen of my house in — Square, when a woman, whom I was afterwards to see many times, walked down the stairs into the room. Having heard the footsteps outside, I was not in the least perturbed, but turned to look who it was, and found myself looking at a tall, stout, elderly woman, wearing a bonnet and old-fashioned mantle. She had grey hair, and a benign and amiable expression. We stood gazing at each other while one could count twenty. At first I was not at all frightened, but gradually as I stood looking at her an uncomfortable feeling, increasing to terror, came over me. This caused me to retreat farther and farther back, until I had my back against the wall, and then the apparition slowly faded. "This feeling of terror, due perhaps to the unexpectedness of her appearance, always overcame me on the subsequent occasions on which I saw her. These occasions numbered twelve or fifteen, and I have seen her in every room in the house, and at every hour of the day, during a period of about ten years. The last time she appeared was ten years ago. My husband and I had just returned from a concert at which he had been singing, and we sat for some time over supper, talking about the events of the evening. When at last I rose to leave the room, and opened the dining-room door, I found my old lady standing on the mat outside with her head bent towards the door in the attitude of listening. I called out loudly, and my husband rushed to my side. That was the last time I have seen her."